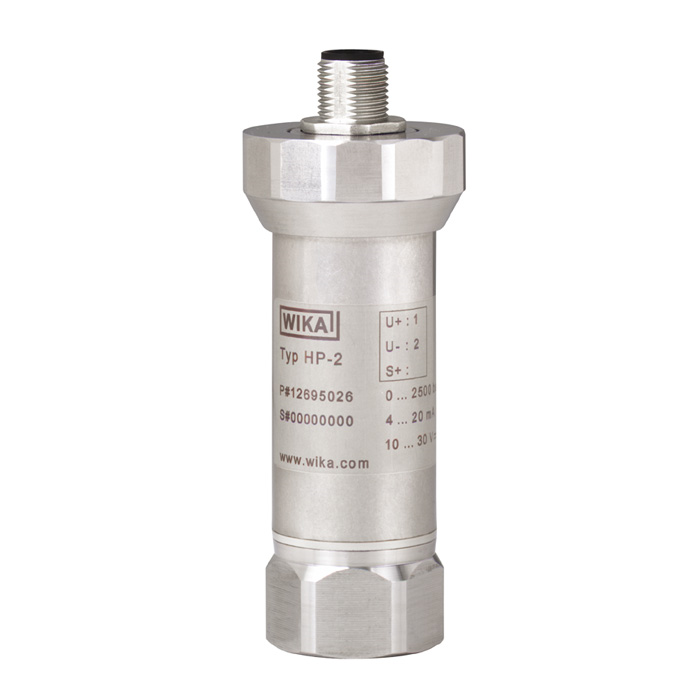 The model HP-2 pressure sensor has been specifically developed for demanding high pressure applications up to 15,000 bar [217,500 psi]. This makes it one of the few pressure measuring instruments in the world that can reliably measure pressures of this magnitude. 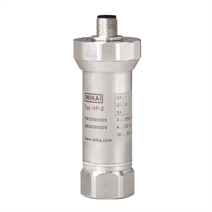 This pressure sensor features a very high long-term stability and offers extremely high accuracy for the highest pressures. Measuring ranges up to and including 0 ... 10,000 bar [145,000 psi] can, as an option, be supplied with an even higher accuracy of 0.25 %. Thanks to its excellent load cycle stability, the model HP-2 has a particularly long service life, even with dynamic pressure profiles. A protection against cavitation and pressure spikes, specifically developed for highly dynamic pressure profiles, further extends the service life. For water as a pressure medium, this protection is particularly recommended. What is the overpressure limit? Can a 3-wire transmitter also work in a 2-wire configuration?